A few weeks ago a long-time friend, Dr. Will Mapham, came to visit Bulungula again. He’s an eye-specialist and together with our Community Care worker, Nomzingisi Hopisi, he managed to assess all community members with eye problems. They found a number of people with cataracts that could be removed with surgery. Will, the Bulungula Lodge and the Bulungula Incubator then kicked into action. Dr. Will managed to arrange that the blind patients could get their surgery done at Uitenhage Hospital by Dr Mark Jacoby – awesome! 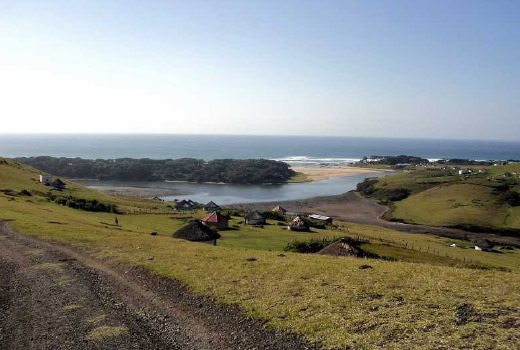 The next challenge was how to get the patients to Uitenhage – 9 hours away. Bulungula Lodge, through its membership of the SA Youth Tourism Confederation contacted the Baz Bus and they generously offered to transport the patients and Nomzingisi for free from Mthatha to PE and back again. Next, we contacted Lungile Backpackers who generously offered free accommodation for the duration of their stay in PE. The Bulungula Lodge and Coffee Shack shuttles were used to get them to and from Mthatha to meet the Baz Bus. And lastly the Bulungula Incubator raised the funds to pay for their food and provided the chaperone. 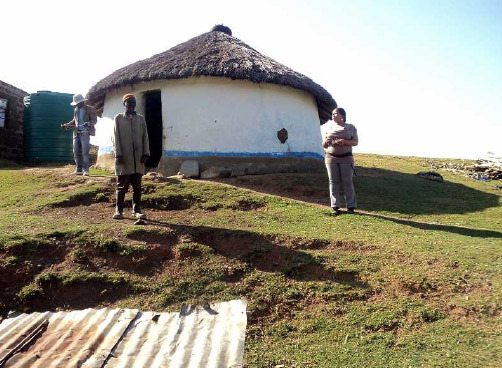 Nomzingisi set off with the two patients, Zwelithembile Dodwana and Mabele Boklein on the 21st of August 2011, filled with trepidation as neither of them had ever left the village before to travel so far and to such a foreign destination. After a comfortable trouble-free trip on the Baz Bus they were warmly welcomed by Lungile Backpackers – this was the first time either of the two men has stayed in a lodge/hotel in their lives! Nervous! Mabhele and Zwelithembile on their way to PE on the Baz Bus. The next morning Dr. Will met the group and they set off to the Uitenhage Hospital where Zwelithembile and Mabele were assessed again. Unfortunately Mabele’s eye was found to have additional damage that couldn’t be surgically treated but Zwelithembile’s cataracts were deemed to be operable and so all was set to go for the surgery. Dr Jacoby performed the surgery on Thursday morning and within a few minutes Zwelithembile could see! He had doubted all along that this operation would help – and so he was absolutely amazed just how quick and painless the surgery was and how profound the results were. As Zwelithembile said: “while I was blind, a road was built to our village, but I never saw it. All I could see was the difference between night and day. Now I can see everything: the road, my cattle and my family. Thank you to everyone who helped me!” He will be slaughtering a sheep soon for a feast in celebration of his eyesight. and a special thank you to Nomzingisi Hopisi from the Bulungula Incubator who displayed great determination and passion to ensure that this project was successful. Baz Bus strives to be a proactive company involving ourselves in various community projects. Find out more about our Community Projects on our About Us page.